The theme of my day was Regency dancing! 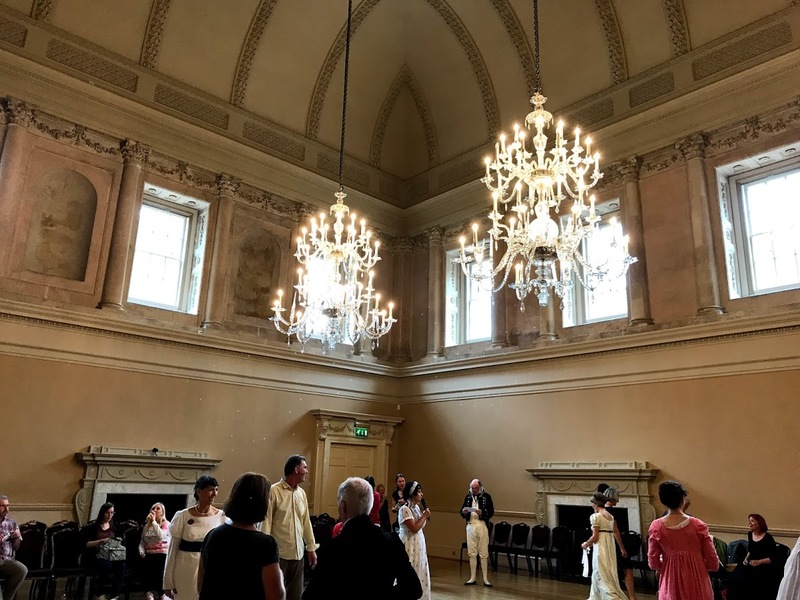 I spent the morning and afternoon taking Regency dance workshops at the Assembly Rooms. 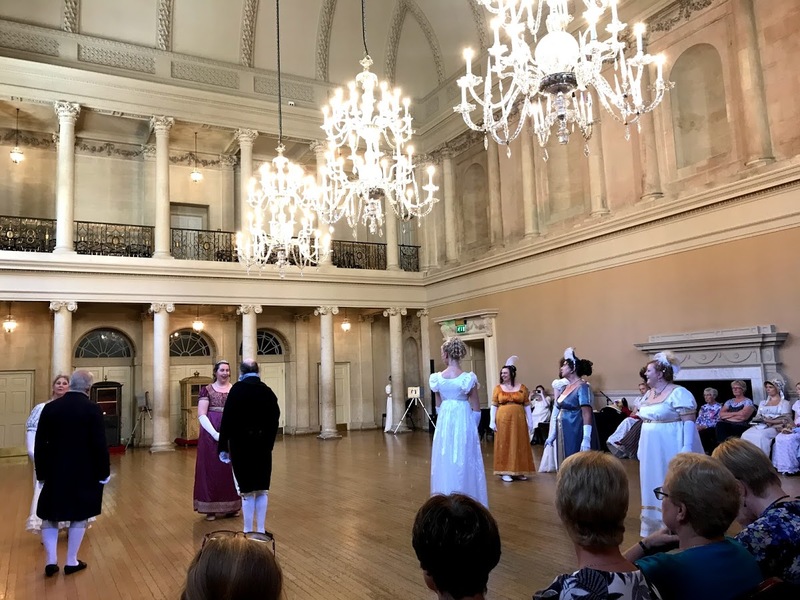 I have always loved dancing, and have learned several different styles of dancing through the years – jazz, tap, swing, ballroom – but I have never done anything quite like Regency style dancing, and to do so in the Assembly Rooms where Jane Austen herself danced was a once-in-a-lifetime experience for me. I had so much fun learning all the dances and trying to figure out how to move up and down the set without stepping on anyone’s toes or running into anybody – don’t want to be a Mr. Collins. It was definitely a trial, but I had so much fun and by the end of the workshops felt that I was performing well enough to not completely embarrass myself. 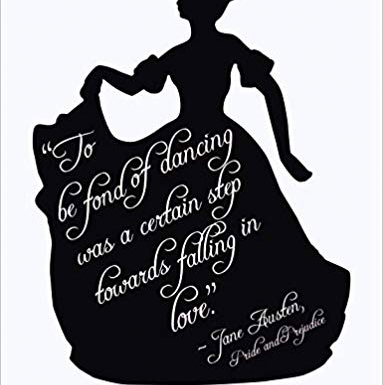 No wonder Jane Austen was fit between all the dancing she loved to do and the walks she loved to take. I was on my tip toes the entire morning and my calves were screaming at me by the afternoon. Between dance workshops, I also attended a talk by Catherine Curzon about the infamous courtesan, Mary Anne Clarke, mistress to the Duke of York. She is an ancestor of another of my favorite authors – Daphne du Maurier, who wrote a novel about her titled Mary Anne. After my dance workshops ended, I got put to shame as I watched a dance performance by the Jane Austen Dancers of Bath. It was beautiful seeing how the dance sets really looked like by people who knew the dances and fun to pretend that was what I looked like earlier in the day. I then made my way up the hills again even though my calves were protesting (why did they stop using sedan chairs in Bath?!) to attend a talk by author Helena Kelly at the Museum of Bath Architecture about Jane Austen and politics. And I capped my day off with a comedic presentation “The apothecary to send for…” about the medical remedies and techniques used during the regency era. 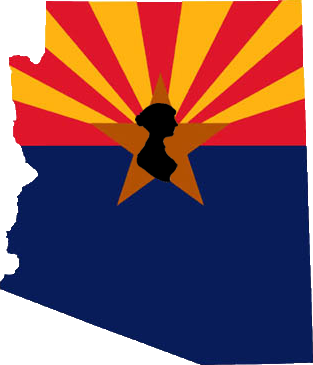 Shudder!!! Thank goodness for 21st century medicine!